This is sort of in the spirit of Mark Pilgrim's old "setting up windows to work" post. I've used it to assist on 4 new mac setups at this point. This list starts from when I am presented with a clean OSX Desktop. To set up spaces, open mission control and + more spaces. 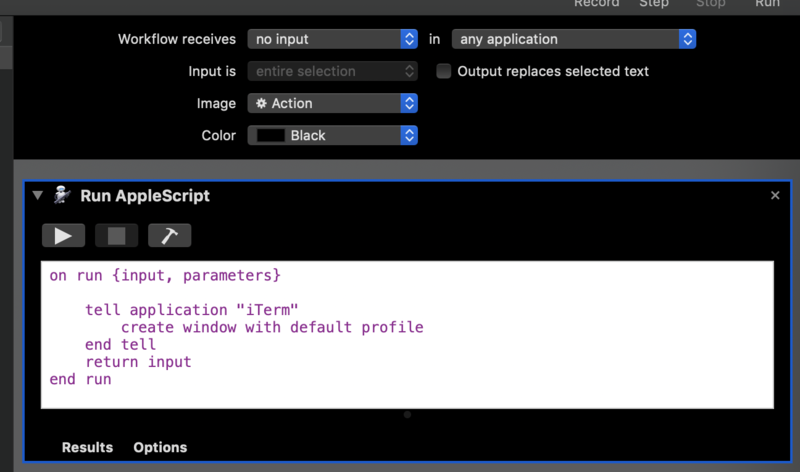 Automator can be used to make new services, which can then be attached to keybinds in the keyboard preferences. This is generally how to make global keyboard shortcuts, although application shortcuts can still override them sometimes. This script uses another script I wrote, quickup, to automatically upload captured images to my server. The script is cross-platform including copying the URL into the clipboard and showing a terminal notification. Requires setting up configuration and installation of terminal-notifier in OSX.